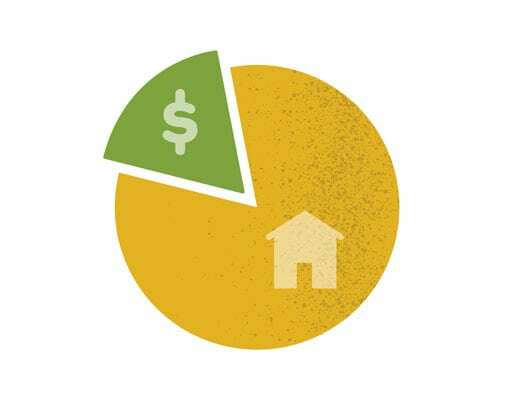 In a case where you might need cash right now to help cover a major expense, tapping into your home’s equity could be a tempting option. Before making the decision to get a home equity loan, it’s important to know how you plan to use your funds. While most scenarios may seem or feel legitimate, some uses for home equity are much smarter than others. Let’s take a look at some possible reasons getting an equity loan could be a viable option for some, or not as good an option for others. One of the top uses for home equity loans and lines of credit are for home improvements, such as updating a kitchen or bathroom. Many of us know that upgrades help homes sell faster and the seller can usually sell the home for more, if selling is the intended goal. Sometimes an upgrade is necessary because the home might be old and in need of updates and repairs to avoid future damages and problems. Depending on the situation, this could be a good way to go for some. Buying a new car or major appliances typically fall under this category and it’s becoming increasingly more common for people to use equity for the things they need rather than for the things they want. This again would depend on the level of need. If a person heavily relies on a reliable car to earn their paycheck and their car is on its last legs, then taking out a home equity might be the smart thing to do and could save a person money in the long run. Decisions like these need to have a pros and cons lists. Talking with a professional lender or adviser to see if taking out an equity loan for what you need could be a great place to start. This option could be good in a situation where a person has a low borrowing rate through their bank and their investment yields a decent return. It’s best to speak with an investment adviser before jumping into anything first since they may have a much better idea of where to invest, or whether or not it’s even a good time. Even though home equity loans are often considered to be inexpensive cash, no one wants to lose it all by making the wrong investment decision. Many parents struggle financially as it is and possibly don’t have near what they need for retirement, which is why when a child is about to attend college or university getting a home equity loan to help pay for expenses could be the best way to keep regular cash flow moving into the right places. For example, into a retirement account instead of towards tuition and other school expenses. This would probably be more subjective and is probably a last resort option in a case where investment returns didn’t quite work out as planned or a retiree’s income is not sufficient for one reason or another. There will always be a risk with such decision and it’s really important to weigh out all options first. Possibly getting some advice from a professional wealth planner will help understand all available options to see which one might work best. If you’re looking to get a Sunshine Coast home loan, click here to learn more about Ethica’s lending services.